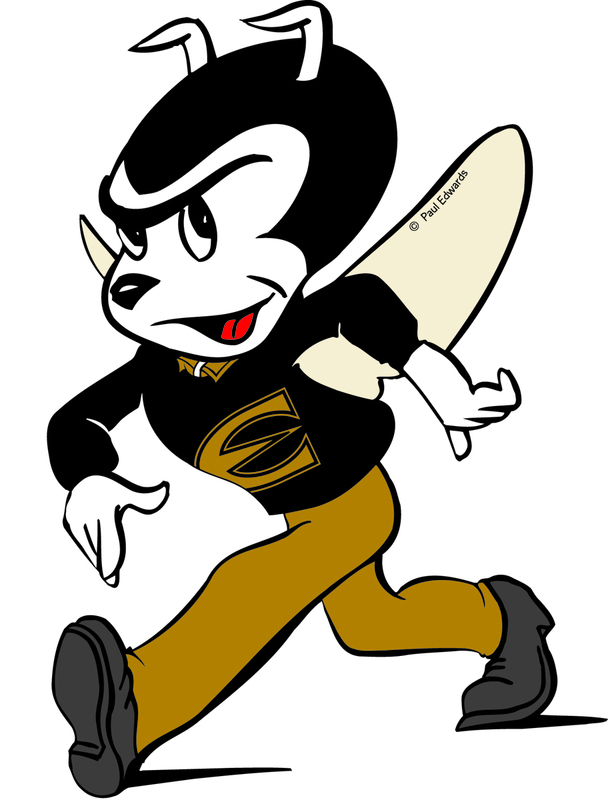 On behalf of Emporia State University, the Department of Communication and Theatre, and Hornet Debate, it is my privilege to invite you to the 63rd Annual George R. R. Pflaum Debate Tournament in Emporia, KS. The tournament will be held October 12th through the 14th, 2018. We hope to continue the tradition of great hospitality that the Pflaum has traditionally been known for. Please let us know if there’s anything we can do to make your tournament more enjoyable. SAME AS LAST YEAR: 1) POPCORN 2) We will again hold competition in King Hall, Plumb Hall, and Roosevelt Hall. We are still utilizing challenge matching for elimination debates. DIFFERENT FROM LAST YEAR: 1) No hot apple cider. It’s just been too hot outside for that to make any sense. 2) Challenge matching, awards, and all elims on Sunday will NOT be held in the Memorial Union, and will instead be in Plumb & King halls. EXTRA NOTE ABOUT ABOVE CHANGES: The facilities people were very clear about problems regarding unplugging tech in Plumb hall in the past. We’ve done well this past two years, but still I implore you: PLEASE DO NOT UNPLUG ANYTHING FROM ANYWHERE. If you need a power strip please let us know so we can insure good relations with our facilities folks in the future. DIVISIONS: There will be Open, Junior and Novice (with sufficient entries). Time limits for the tournament are 9-3-6 with 10 min prep. We will adhere to the CEDA guidelines for eligibility in each division. The tabroom is being run by the nicest man in Missouri: Matthew Vega. TOPIC: The 2018-2019 resolution will be used. ENTRIES: No limit on number of entries per school so long as an appropriate number of judges are provided. Each school should arrange their own hired judging. Failure to provide enough judges could preclude additional teams being entered. FEES: $40 per person. Each uncovered debate team will be charged $120. All fees are used to pay for tournament expenses, meals, and awards. Judging fees for uncovered teams go directly to the hired judge. DEBATES: We are pleased to be offering 6 rounds of debate in Novice, Open, and Junior Varsity. There will be an appropriate number of elimination debates in each division. Teams coached by actual wizards are not eligible to participate in elimination debates. JUDGING: Each school is expected to provide three rounds of judging for each team entered. The tournament has no hired judging. You are required to arrange your own hired judges. All judges are obligated through the first full elim. ALL JUDGES MUST BE AVAILABLE TO JUDGE ONE ROUND AFTER THEIR TEAMS HAVE BEEN ELIMINATED. AWARDS: Awards will be presented to all teams qualifying for the elimination rounds in all divisions of debate. Awards will be given to the top speakers in all divisions of debate. REGISTRATION: Debate registration begins at 1:00pm Friday, October 12 in the King Hall lobby. The pairings for rounds 1 and 2 will be released shortly after registration. ENTRY DEADLINE: Entries must be received by Monday, October 8. Please enter your teams on Tabroom.com. You will be charged for entries dropped after the deadline. Judge preference will be turned on after the entry deadline. All prefs must be completed prior to registration. Note about challenge matching: Challenge format will be used in all appropriate OPEN elims. JV/Novice will use standard pairing format for all elims. All challenges will be in the King Hall Lobby.